I guess it’s only fitting that on Labor Day I should write about one of the hardest working men in the fragrance industry, Jeffrey Dame. Together with his son, Cullen, they have founded Dame Perfumery Scottsdale. Jeffrey’s roots are deep within the fragrance industry. Over 35 years ago he started his perfumery career in the buying office at Neiman-Marcus in Dallas and spent a few decades in New York and Paris working in fragrance for Estee Lauder, Parfums Caron Paris and with the American fashion designers Oscar de la Renta, Bill Blass and Geoffrey Beene to name a few. So it’s not surprising that this new venture has culminated with him combining his knowledge and love of fragrance with his love of family. Of course, I have a favorite among the group; the Cassis, Rose and Sandalwood. Who can’t resist a sparking rose and deep juicy cassis??! What I find refreshing about these perfumes is that Jeffrey Dame’s philosophy on perfume shines through with these creations. He doesn’t abide by the thought that perfume is art. Instead, he believes that perfume is pleasure and that perfumes are meant to be worn and enjoyed and not meant to be worshipped. I can’t agree more. WHAT I SMELL: Black Flower Mexican Vanilla opens with a vanilla and caramel almost cocoa’d opening that’s rather nutty and gourmand. It’s strange that in one sense the fragrance is dry and peppered, but then again I’ll take another sniff of my wrist and the fragrance appears to be more rich, smooth, creamy and exotic. Be it peppery and dry or smooth and creamy, the one thing that is consistent with the fragrance is that it’s vanilla richness without the sweetness. After around 10 minutes, flecks of pepper dot the fragrant landscape as the florals begin to make an appearance. The florals are pretty without becoming too feminine and as they begin to develop the fragrance becomes more radiant and the sweetness from both floral notes and vanilla make for a delightful dance. As the drydown continues, the fragrance continues to soften and retreats to a light vanilla floral dream that is dry and somewhat powdery. 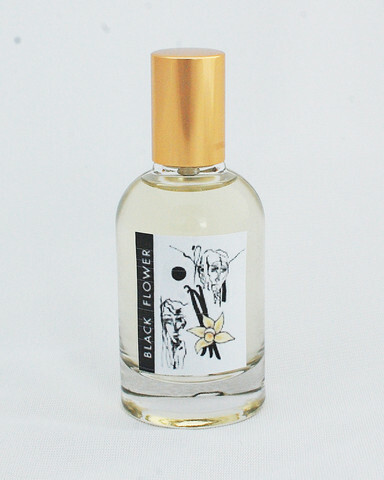 Black Flower Mexican Vanilla notes: vanilla absolute with touches of lemon, grapefruit, caramel, nutmeg, gardenia, jasmine, sandalwood, patchouli, vetiver, musk and tonka. WHAT IT SMELLS LIKE TO ME: A Mexican dream. BOTTOM LINE: Vanilla has a tendency to wear me out as it can easily become overbearing and sweet. Here, the vanilla is blended nicely with the florals so even though there is a sweetness about the perfume, it can’t be labeled as “sweet.” And for being 90 degrees today, the fragrance seems to be working, another big feat for a vanilla fragrance because I usually find they work best in cooler temperatures. Black Flower Mexican Vanilla is a Mexican beauty for sure. Earlier, I mentioned that Dame Perfumery is a family affair. 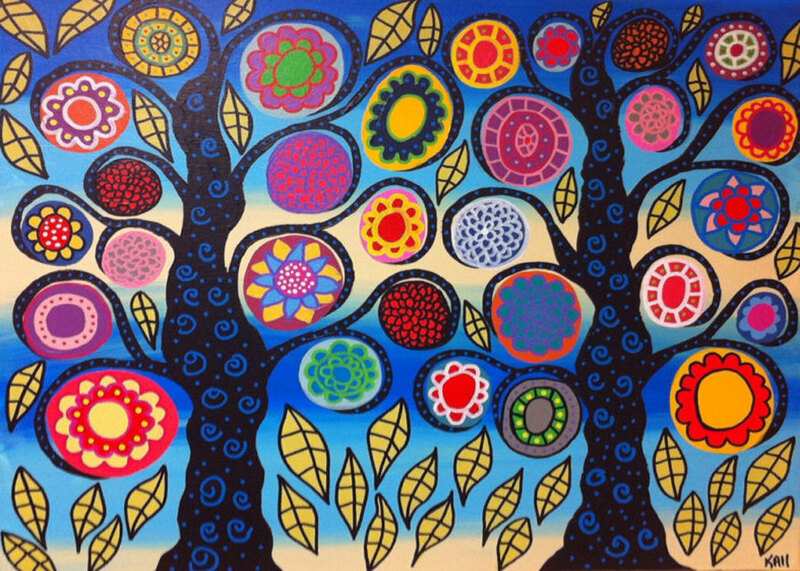 Not only is Jeffrey Dame’s son part of this endeavor, his father V. Dave Dame is Dame Perfumery’s Artist in Residence and was the creator of the artwork for Black Flower Mexican Vanilla. I believe that this family collaboration is going to be making some great waves in the industry and I look forward more to come, including the intriguing sounding Hatch New Mexico Chili fragrance that they will be launching later this year. All of the fragrances listed above can be found on the Dame Perfumery Scottsdale website! Categories: Dame Perfumery Scottsdale | Tags: 4 bones, Black Flower Mexican Vanilla, Dame Perfumery Scottsdale, EDP, fragrance, oriental vanilla, parfum, Perfume, review | Permalink. 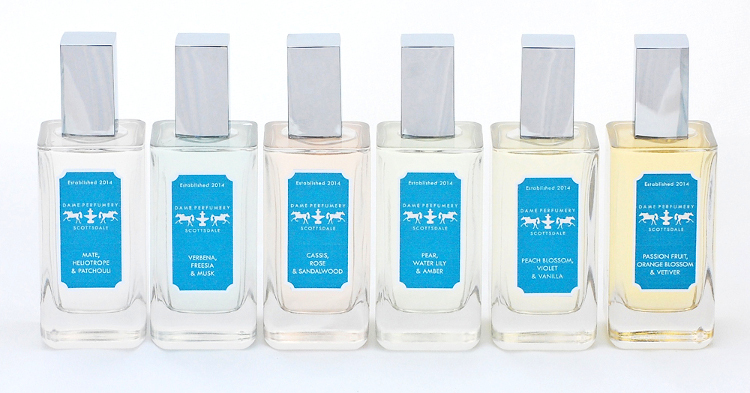 I don’t know how I missed the launch of these perfumes… I have to get that Cassis one to try! Vanilla is a strange note for me: I really like a couple of perfumes with it in the leading role but most of them do not work for me. So I plan to test Black Flower Mexican Vanilla when I get a chance but it’s 50%/50 % chance at best. I wish Jeffrey’s brand all possible success. U – vanilla is a hard note for me too, but this is a bit dryer so it doesn’t become overbearing. Even the hub likes it and his taste typically sits with the citrus and vetiver neighborhood. I must admit, like Undina, I also missed the launch but then again, that happens quite often lately to me. I think this launch has been a bit quieter as it’s a new venture…I’m sure once the information gets out, you’ll be hearing a lot more about Dame Perfumery. Please reach out to Jeff…they have samples you can order on site and there is a Fragrantica contest right now for free samples. But the bottom line is all of the fragrances are affordable. I love that! Hi Undina and Ines. Thank you for commenting and taking note of my new Dame Perfumery Scottsdale which just kicked off last month in August. I’ve kept the whole concept and house rather quiet and instead have simply focused on perfume creation and the relationships I have with my perfumery clientele. And I’m spending time developing the perfume concept store here which will open later this fall. Too often I find there is so much bombast in perfume promotion that the scents and reason you exist get lost in the overall noise level, which is of course followed up with even more noise. Just working on the perfume and simply talking to perfume people one-on-one about the scents is a relaxing joy. You both take this same personal approach to your perfume writing and so I am certain you sense what is happening with Dame Perfumery Scottsdale. The Hound reached out with a personal inquiry and I was happy to share and talk perfume. I do think he has perfectly captured the essence of Dame Perfumery Scottsdale. J.